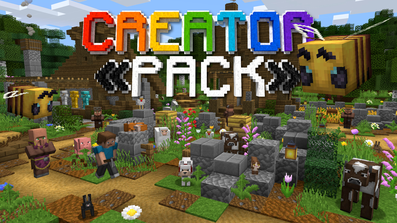 On this Website you can find innovative Resource Packs such as 3D CreatorCraft, 3D Seasons and much more for the latest versions of Minecraft as well as wonderful cinematic trailers and inspirational concepts! Start your experience now and dive into the world of CreatorLabs! X.M.R. is a new video series, where I try to recreate real life scenes in Minecraft as realistic as possible. 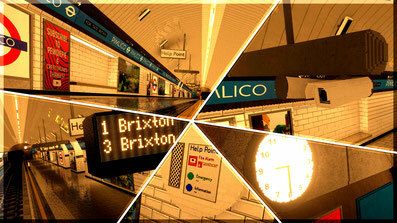 In this case I created a London Underground station called Pimlico. Get to the Changelog to see all updates of 3D CreatorCraft! Click the button down below to be up-to-date with new features! Whole website reworked and many resourcepacks updated to 1.13. Today is the "big launch" of CreatorLabs. There is also a cool trailer that sums up all the new features. More information can be found in the blog article. Get to the "Big Launch"
Universal Seasons is a set of resourcepacks, that allows you to choose between different seasons in Minecraft. The different seasons result in different colors applied to grass, plants and leaves. This addon brings Seasons into your Minecraft world. 3D Seasons features the four seasons Spring, Summer, Autumn and Winter. Through the seasons-change, plants, crops, grass and leaves change their color. This addon adds an "Display" to every Note Block. On that Display you can see which instrument and which note the Note Block is using. You would like to download a resourcepack? All downloads can be found here! Need some help on resourcepacks or general questions? Then visit the Help Section, that has Tutorials, FAQs and much more! Looking for a way to contact me? Here you can find many different ways to do so!